With a simple external structure and warm cosy inside ambiance, Raintree Residences is a good home away from home when in Bangalore. The rooms are spacious with plenty of storage, large mirrors, light-coloured walls and dark furnishings. 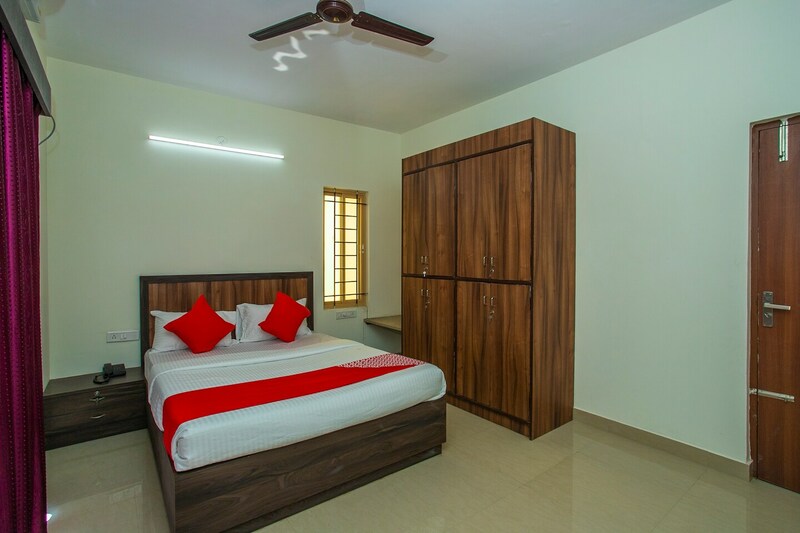 In addition, the rooms are equipped with hair dryers for quick drying, and mini-fridges, so that guests can keep required beverages and food items nearby. The hotel provides a common seating area and a designated dining area. Other amenities supplied by the hotel are free WiFi, elevator service and an option for car payment. The hotel also has a CCTV camera setup in place for added security.